Dirty Harry, to many younger readers (heck, including this writer), may seem like a rather old movie series in which a youthful Clint Eastwood mutters iconic lines. It's not too long ago, however, that Warner Bros. (and Eastwood's own company) had grand plans to revive the franchise with licensed games. The masterplan was to have a 'next-gen' tentpole release on Xbox 360 and PS3, developed by The Collective Inc, and a version for weaker systems (including Wii and DS) by Sensory Sweep. With a storyline between the first and second movie, each developer was working independently on different art-styles, with the Wii / DS version planned to adopt a cel-shaded approach. It was a big-budget affair, too, with a frankly outstanding cast lined up for voice acting that was, ultimately, never required. It's an intriguing tale told by Liam Robertson / Unseen 64 and Did You Know Gaming, as bold ideas seemed to fall down due to a lack of creative direction and progress - in the case of both versions. @Captain_Gonru That's because the Wii version was never announced. The only versioned ever officially announced were the 360 & PS3 games being made by The Collective, Inc. I definitely remember you guys already having done an article on this game before. What has changed to warrant another piece on the same game? 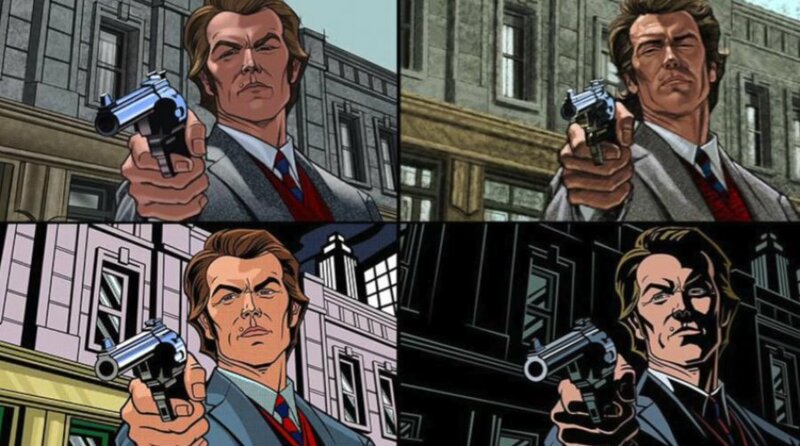 Would have been interesting to see a cell shaded Dirty Harry. I remember hearing about this. What a shame that it never got off the ground. I'm curious now as to whether this was going to be a GTA-style open world game similar to how The Godfather franchise was adopted into games (the first of which was available on Wii). It would have been great to have more open-world titles on Wii and especially the DS. After things blow up, you have to walk away from the carnage. The video is new so maybe new information. @TheRealThanos There is much more information in this new video. Previously, there was no footage from Sensory Sweep's version of the game. There were no real story details or a full cast list, or real, in-depth explanation of why both versions of the game failed. @LiamR As I suspected, hence me mentioning "aside from this video". Normally, if there was any previous article, NLife would place a reference to it in the article, though. However, that takes nothing away from your impeccable research skills and making this, once again, an interesting look back at what could have been. My sincere compliments. Seen before but would have been interesting too see the game on the Wii if it never got cancelled.